It has been known for ages that difficult moments in our life become more bearable when we treat ourselves with some sweets. 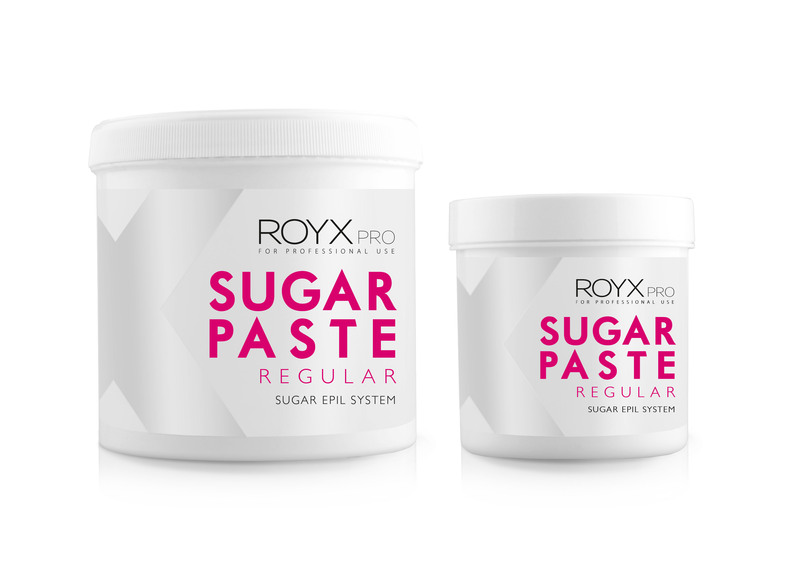 ROYX PRO sugar paste is a combination of subtle sweetness and effective depilation which makes it a true ritual. ROYX PRO sugar paste peels and nurses – with each paste removal the dead skin is eliminated making the skin soft and delicate after the depilation. ROYX PRO is merciless for every hair. Contrary to wax depilation, the hair is removed according to their natural direction of growth which minimizes the risk of their ingrowth and irritation. Sugar paste can be applied repeatedly to the same place thanks to which it guarantees 100% of accuracy. The pain connected to the process is minimized totally. If you try sugar depilation once – you immediately resign from the wax one. For maximum effectiveness, we have created four different ROYX PRO sugar pastes for different types of hair and skin. We encourage you to become familiar with the whole range of our products. Hair removal – can it be pleasant, safe and at the same time effective? It can… naturally! With ROXY PRO sugar paste! Effectiveness – merciless even for very short hair. Product totally easy to use – after an appropriate training and a little bit of practice it takes as much time as the wax depilation. ROYX PRO – do it in a sweet way! We encourage to use professional, certified trainings which will enable you entering the world of sugar depilation. Treat yourself to the passion of sugaring!